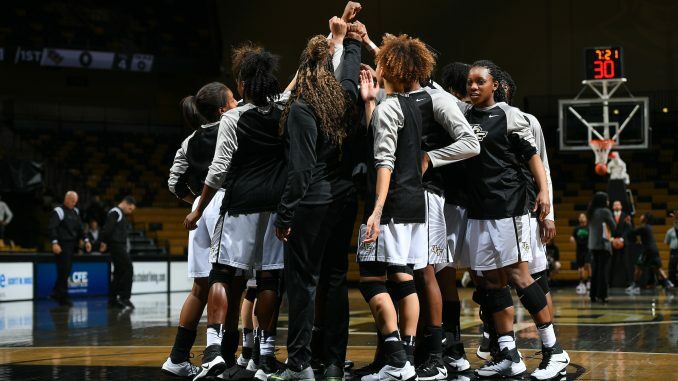 The UCF Women’s Basketball team is heading to the NCAA Tournament for the first time since 2011. The Knights, who made it in as a No. 12 seed, are set to take on Arizona State in Coral Gables on Friday. This marks the fifth time that UCF has made the tournament, and is a culmination of a stunning turnaround engineered by coach Katie Abrahamson Henderson. In the three years before her arrival, the Knights went just 26-64. Since taking over the program, she has led the team to three straight 20-win seasons and three straight postseason appearances. UCF has had an excellent season, winning 26 games and making it the the American Conference Championship game before falling to UConn.